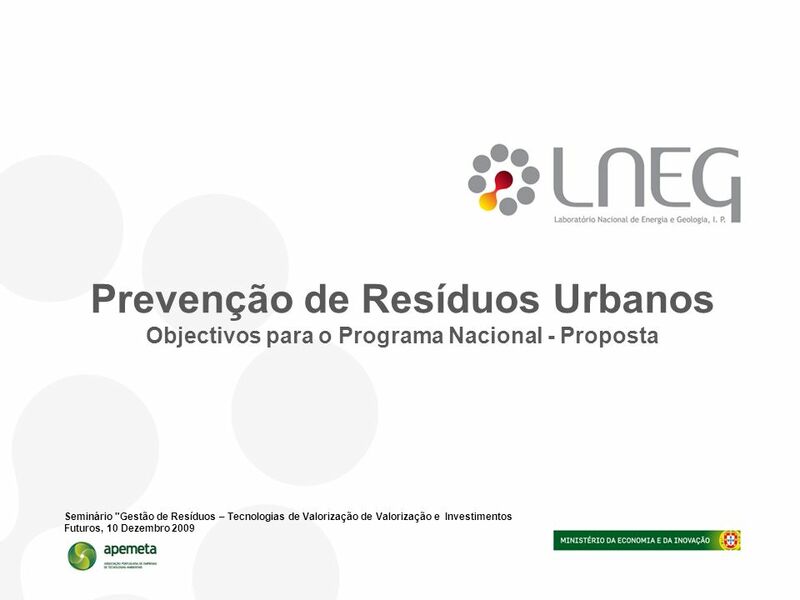 Prevenção de Resíduos Urbanos Objectivos para o Programa Nacional - Proposta Seminário "Gestão de Resíduos – Tecnologias de Valorização de Valorização. 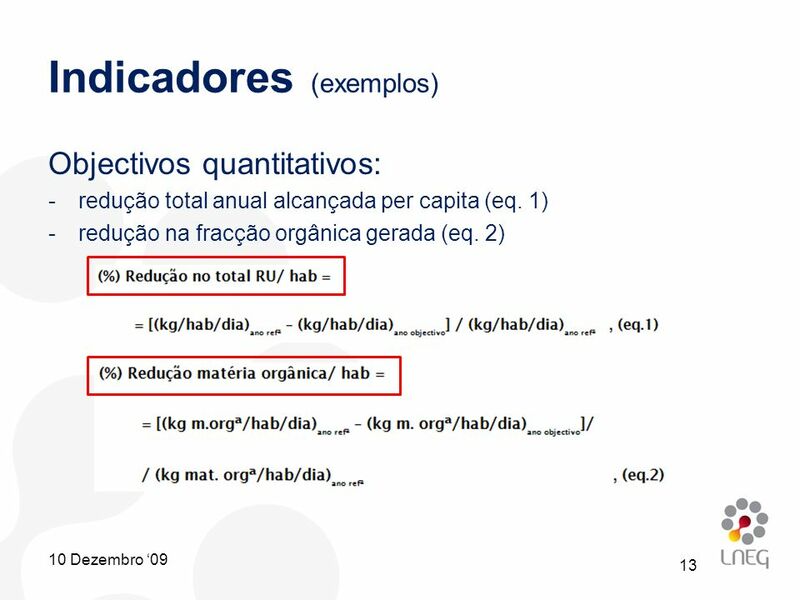 2 Tópicos Introdução Qual é a dimensão do desafio? 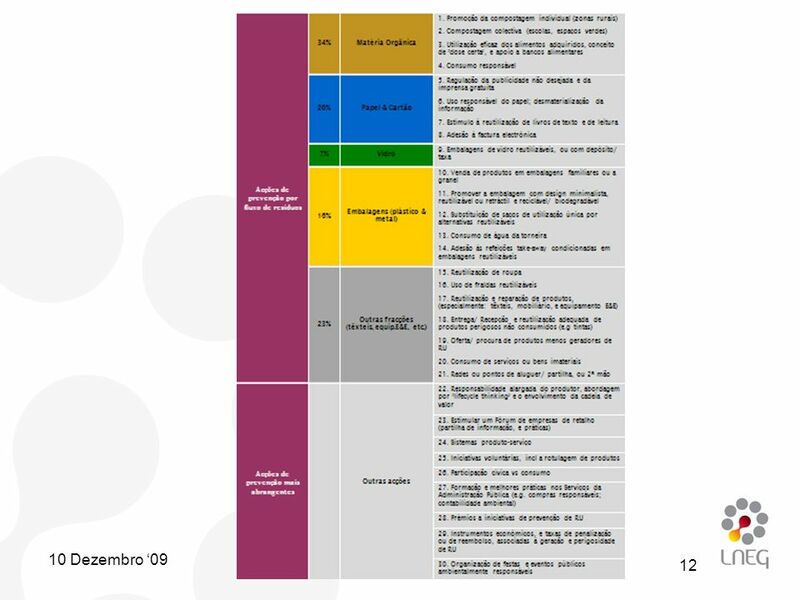 9 Que resultados se podem alcançar? 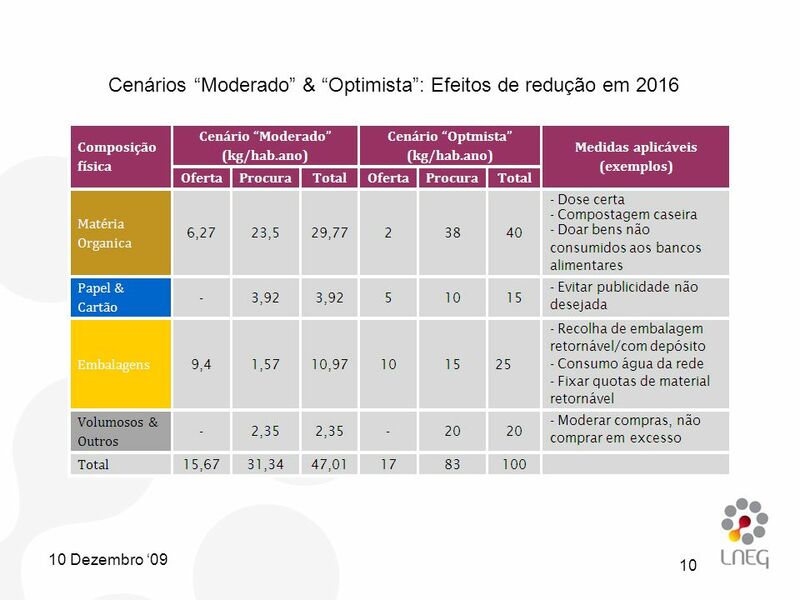 Respondents in PT: most inclined to have separated their waste, or to have cut down their water or energy consumption, for environmental reasons in the month prior to the survey. However, fewer of them were likely to have undertaken such actions than other Europeans. 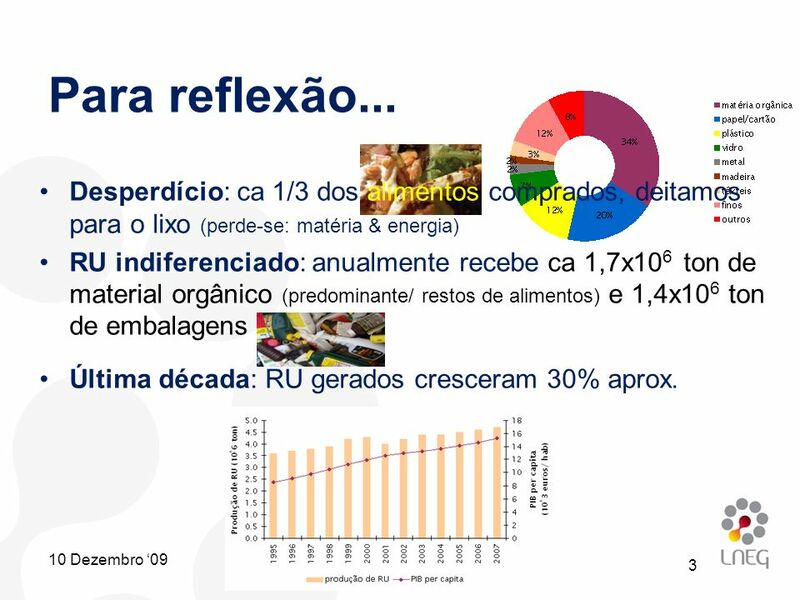 The most striking discrepancies with the overall EU results are seen for actions such as cutting energy consumption and reducing the consumption of disposable items. 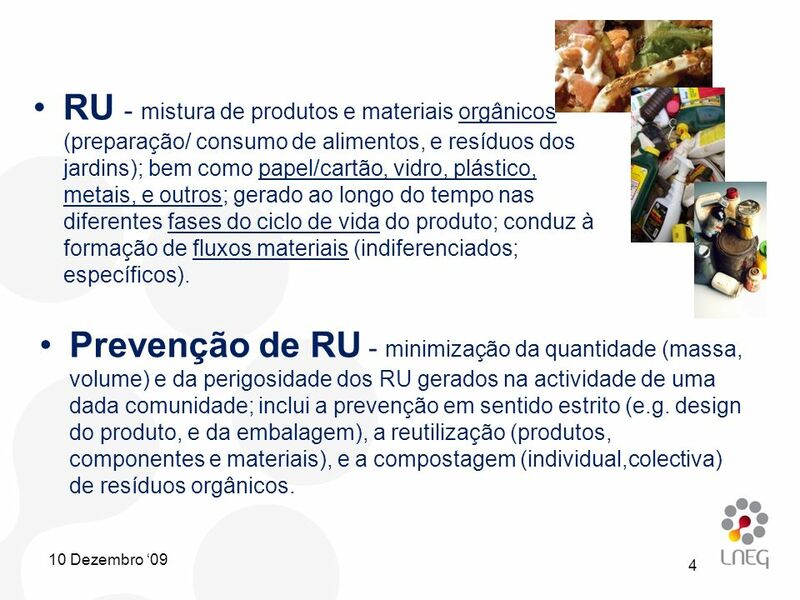 Furthermore, although 75% are ready to buy environmentally friendly products even if they cost a little bit more, only 7% have done so in the past month. 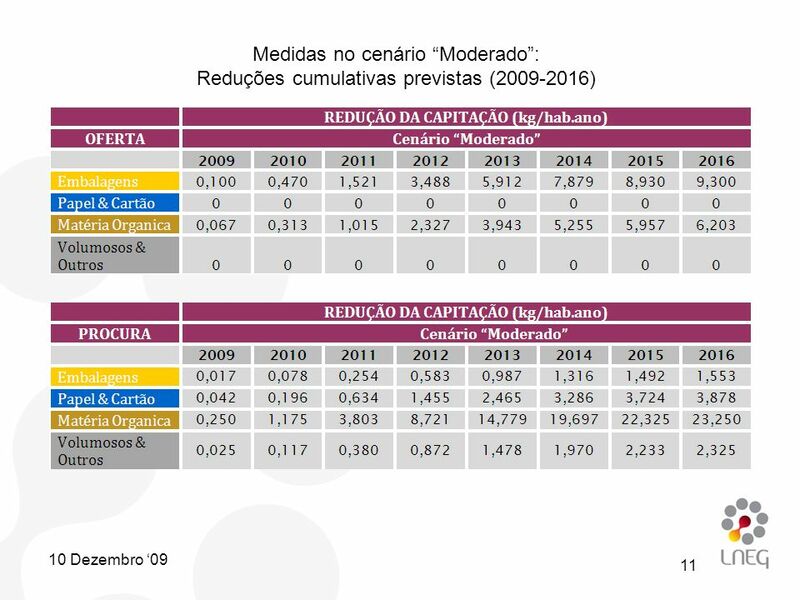 Fonte: Eurobarometer (Mar 2008). 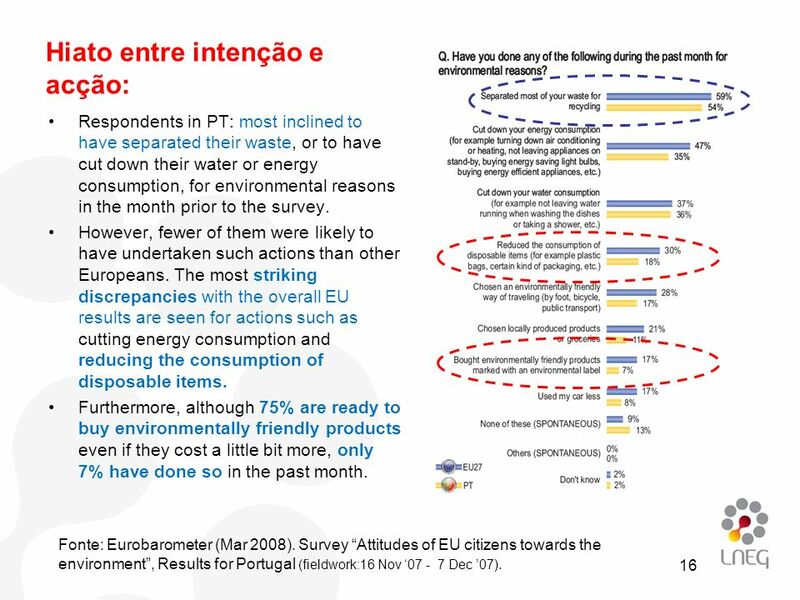 Survey “Attitudes of EU citizens towards the environment”, Results for Portugal (fieldwork:16 Nov ‘ Dec ’07). 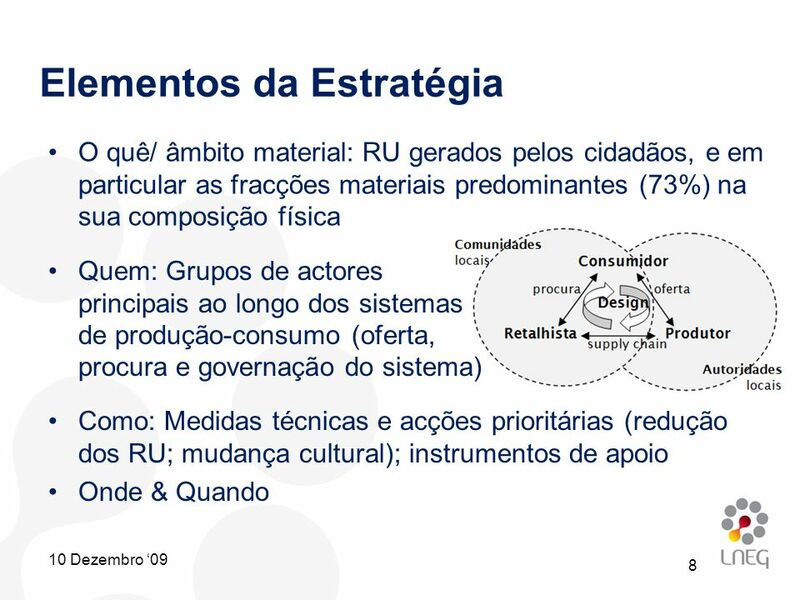 17 i.e. 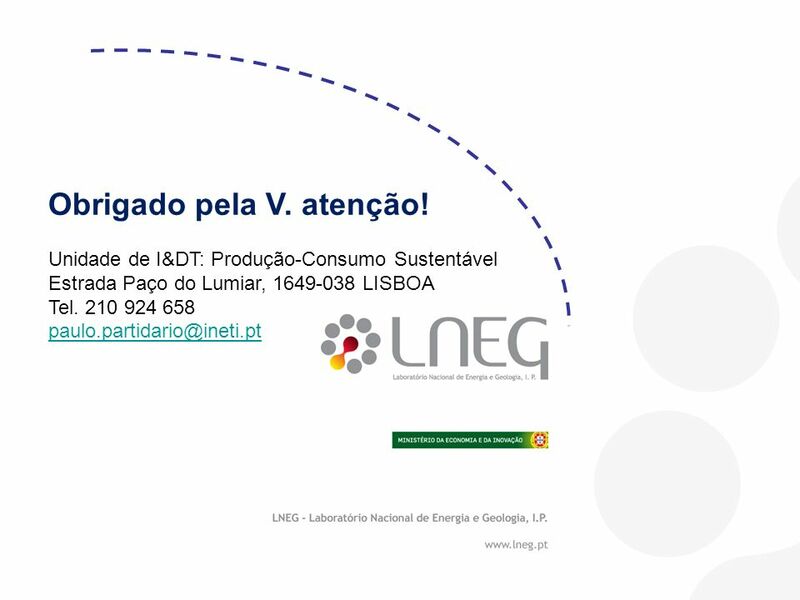 temos um longo caminho a percorrer! 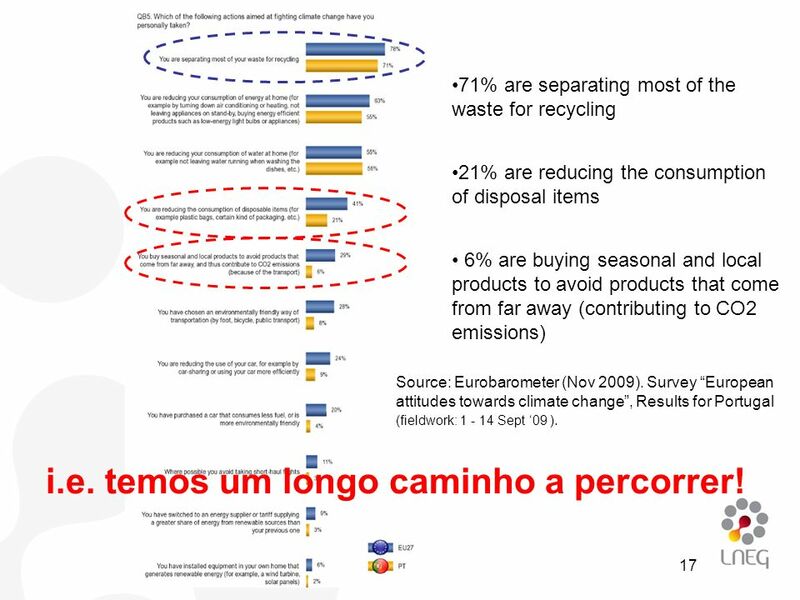 71% are separating most of the waste for recycling 21% are reducing the consumption of disposal items 6% are buying seasonal and local products to avoid products that come from far away (contributing to CO2 emissions) Source: Eurobarometer (Nov 2009). 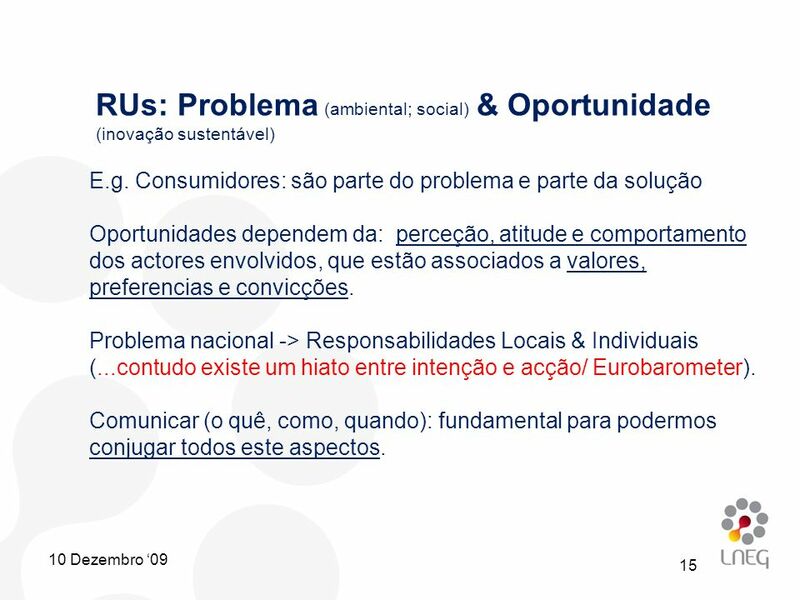 Survey “European attitudes towards climate change”, Results for Portugal (fieldwork: Sept ‘09 ). i.e. 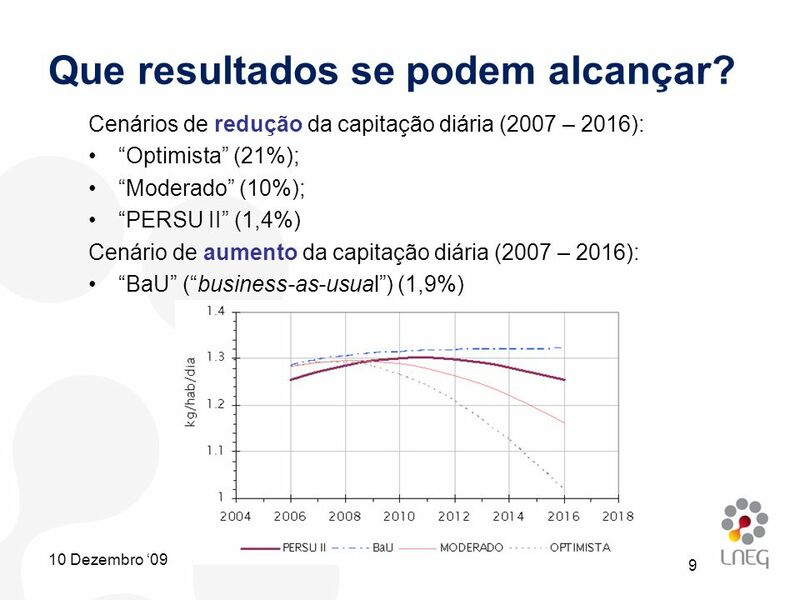 temos um longo caminho a percorrer! 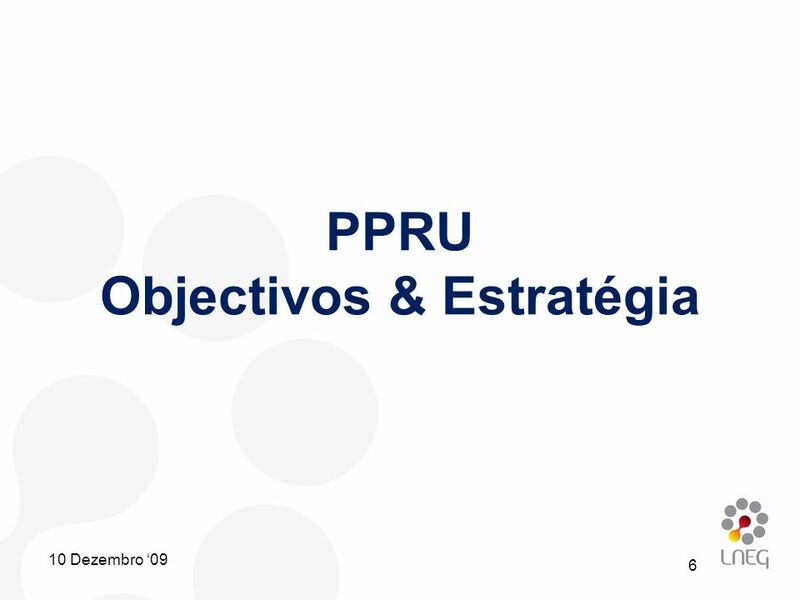 18 Obrigado pela V. atenção! 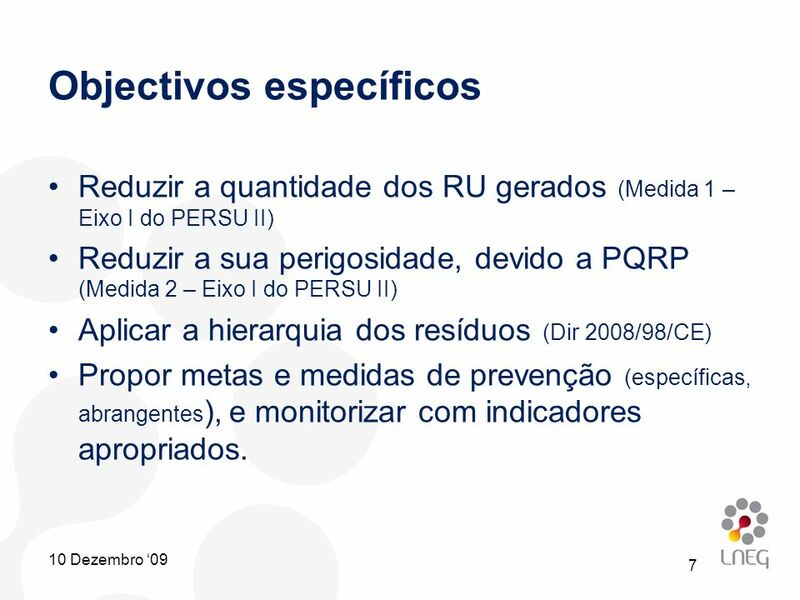 Carregar ppt "Prevenção de Resíduos Urbanos Objectivos para o Programa Nacional - Proposta Seminário "Gestão de Resíduos – Tecnologias de Valorização de Valorização." 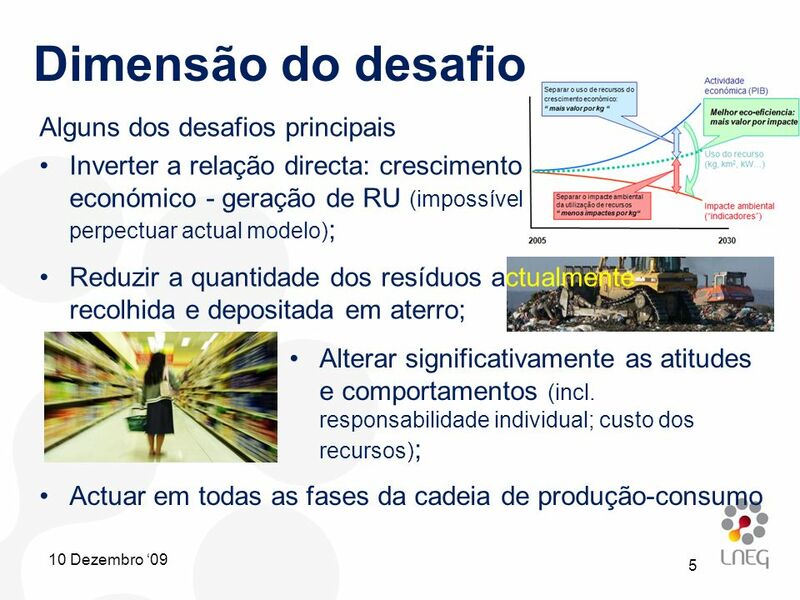 Prof. Marcelo Motta Veiga, Ph.D. Brasília - 18/08/2015 Regulação dos Serviços de Resíduos Sólidos: Desafios e Oportunidades 1.